Further enhancing its classy look and high quality, the Ninja H2 Carbon features a beautifully constructed carbon fiber upper cowl. This front section of the motorcycle is built in highly rigid, lightweight CFRP (carbon-fiber reinforced polymer). The upper cowl instantly distinguishes the Limited Edition from the standard Ninja H2. 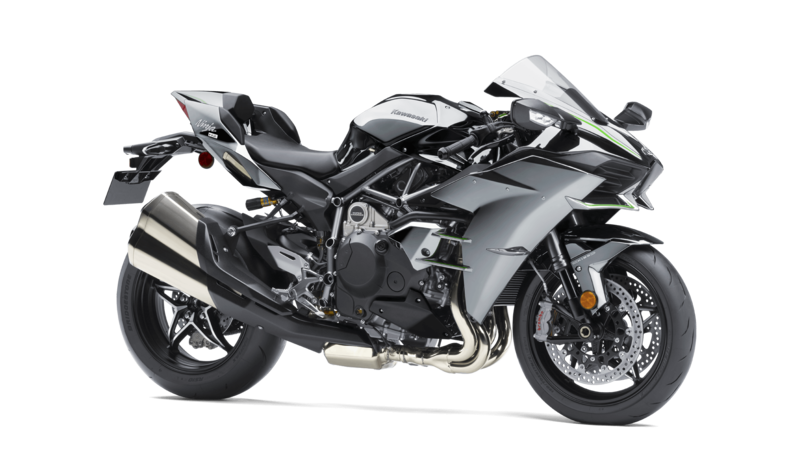 Creating an image similar to that of the Ninja H2R, the carbon-fiber piece gives the Ninja H2 Carbon enhanced presence. Further distinguishing the Ninja H2 Carbon model is a new variation of Kawasaki’s silver-mirror paint featuring a matte element. The new paint is the same as on the closedcourse Ninja H2R model.